Inside the ‘Panini trading cards’ album containing the much longed-for card of Paolo Guerrero. Image by the author, used with permission. Some months later, proud football fans are waiting in long lines for hard-to-find trading cards to commemorate this historic moment in Peruvian football history. But back in November 2017, joy and excitement surged so high that the Peruvian Geophysical Institute recorded a minor earthquake  at the precise moment  football player Jefferson Farfán scored the first goal against the New Zealand team at the National Stadium in Lima. The unanimous joy by the fans at the National Stadium caused Lima land to vibrate and the accelerometers recorded amplitudes of land shakings equivalent to a micro earthquake, with an estimated magnitude of 1 (imperceptible for people) on the Richter scale. On March 22, 2018, the Italian company Panini launched  its popular trading cards album to commemorate Peruvian football players in two editions: a special hard-cover album and more traditional trading cards. […] Panini no esperó la gran acogida del álbum por lo que el stock seleccionado para nuestro país quedó corto en tan solo unos días. No pasó ni una semana para que el coleccionista peruano se quede sin oportunidad de conseguir este tradicional cuadernillo de la Copa del Mundo. […] Panini didn't expect such a huge demand, so the stock meant for our country was sold out in just days. Not a week had passed, and the Peruvian collector lost all opportunities to get this traditional booklet of the World Cup. There is a guy in line holding an album in one hand and a 100-trading cards pack. LOL! 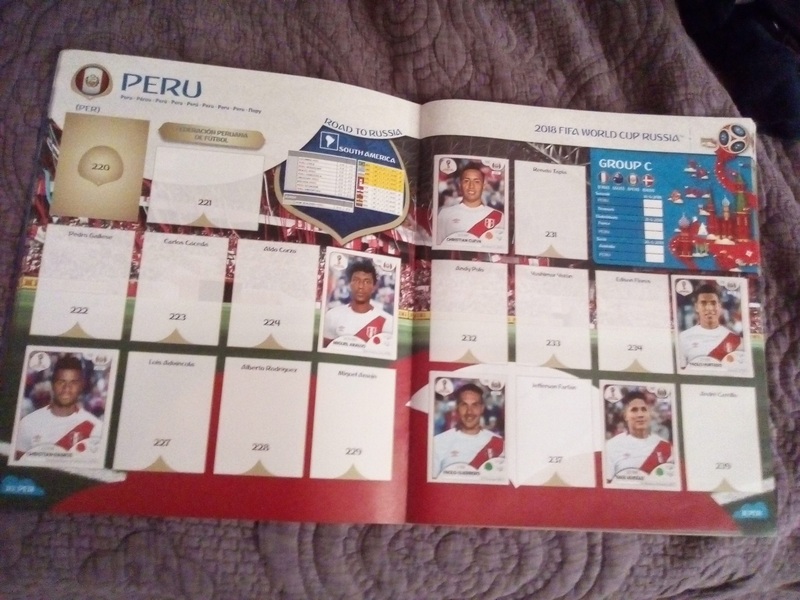 Panini album: Peruvian national team fans got up early and form long lines to get it. By early April 2018, the firm announced the arrival of a new set within a few days. Panini representative Óscar Pizarro acknowledged that the huge demand for trading cards and albums of the Russia 2018 World Cup caused an unexpected scarcity in points of sale. On a radio interview , Pizarro pointed out that they sold 140 tons of trading card packs within in ten days. In comparison, the FIFA World Cup Brazil 2014 game only sold 40 tons of trading card packs. Nosotros habíamos calculado el primer lote, que fue el doble de lo que se vendió en toda la campaña anterior, para que dure dos semanas, pero duró horas. Tengo la data de que del 22 de marzo al 2 de abril de 2018 ya se habían colocado en el mercado 140 toneladas de sobres. En solo 10 días, hay una situación de escasez porque no había manera de calcular esto. We estimated the first batch, which doubled the whole batch from the previous campaign, to last for two weeks, but it was sold out in just hours. I have information that from March 22 to April 2, 2018, 140 tons of card packages had been sold. In just ten days, there is a shortage, as there was no way of anticipating this. La gran demanda que ha generado la participación de Perú en el Mundial ha logrado un nuevo hito en la historia de ventas de álbumes mundialistas en el país, 36 años de espera han superado largamente la demanda generada y estamos orgullosos de ser parte de una hinchada tan comprometida con la selección. The great demand generated by the participation of Peru in the World Cup has achieved a new milestone in the history of sales of albums in the country, [as] 36 years of waiting have far exceeded the demand generated and we are proud to be part of this group of fans so committed to the national team. Óscar Pizarro, Panini representative in our country, mentioned the dates of arrival of the now scarce trading cards. The Panini representative explained that the shortage of the album was due to the “unexpected high demand”. Panini: this is the replenishing schedule for the supply of trading cards for Peru. For about 25 years, I've collected the Panini album, and it's the first time I paste a card of a Peruvian player. Congratulations to the Peruvian people, may you do well at the World Cup. Y si fuera obligado leer un libro antes de poder comprar un Album Panini? Quizas nuestro Perú empezaría a tener mejores oportunidades! What if it was mandatory to read a book before getting the Panini album? Maybe our Peru would start having better opportunities! Football fans invest time and money to fill out the Panini album. Companies organize card exchanging events for their employees. Today, there will be a meeting at the Boulevard of Culture at San Miguel. Panini album: the excitement about football translated into trading cards. Medios extranjeros: ¡CRISIS TOTAL en Perú por renuncia del presidente! -Ah. Y a qué hora juega Perú el viernes? Foreign media: TOTAL CRISIS in Peru due to President's resignation! -Oh. And what time is the Peru national football team game on Friday? -Do you have the album? – What do you think of PPK's resignation? – I already have my Panini album. World Cup Russia 2018 Panini album: memes after being launched in Peru | Photo 1 of 10.